Trish was fantastic! Without her I would not have even dared to attempt a VBAC let alone achieve one. During the antenatal visits at my home Trish gave me complete confidence to trust in my body and my ability to birth naturally. On the day my labour started she came home in the early hours of the cold morning and was fully beside me and hubby and did everything to support me to achieve my VBAC. 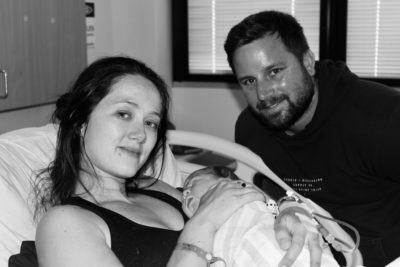 The meetings prior to giving birth gave me the understanding of what was to come as well as the knowledge and confidence I needed to try for a VBAC. When it came to the actual birth, Trish was there to hold my hand, offer advice, give me support and take photos of the magical birth. 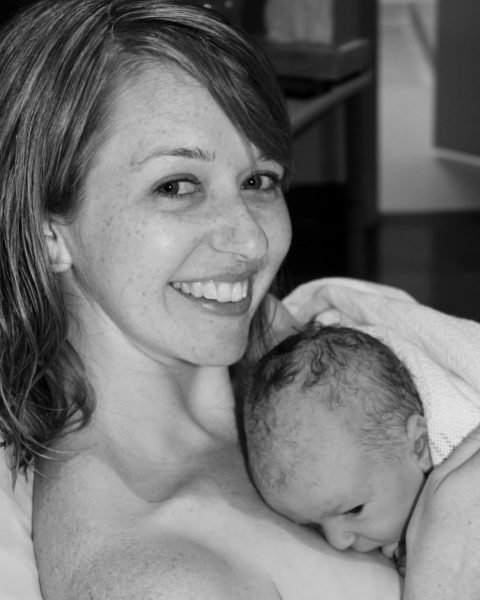 I really wanted to hire a doula for the birth of my third child because I wanted to experience a natural birth. My first birth experience was premature twins born via c-section. It was a traumatic birth and certainly not what I had envisioned. It was really important to feel in control this time around and to do that I needed to be equipped with knowledge. 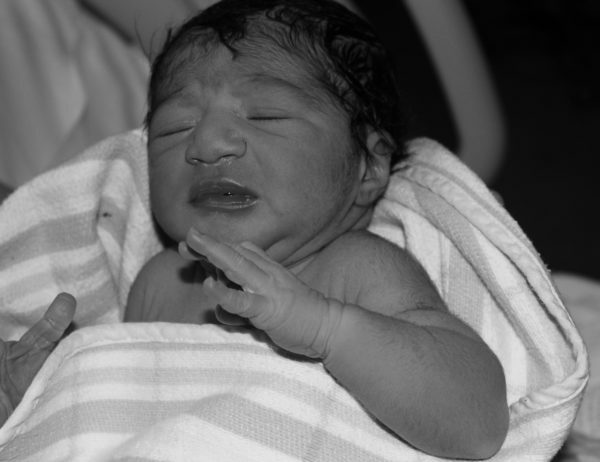 Trish is certainly very knowledgeable in many types of births, having experienced them herself. From the first meeting, I could see that Trish was approachable and friendly but also a straight shooter. Exactly what I was after! The meetings prior to giving birth gave me the understanding of what was to come as well as the knowledge and confidence I needed to try for a VBAC. (Especially because VBACs come with many rules and restrictions). When it came to the actual birth, Trish was there to hold my hand, offer advice, give me support and take photos of the magical birth. But it didn't stop there. Trish stayed with us for many hours after the birth to ensure I was properly cared for by the hospital staff. She was in close contact with me over my hospital stay to make sure I was doing well. With the added incentive of birth photography we were able to capture the most important moments of our sons birth to share them with our loved ones. I would absolutely recommend Norwest Doula services to any expecting mother to make it a memorable and joyful occasion. After two weeks of having our little monkey Zion in our lives, a few sleepless nights and constant visitors, Israel and I finally have the chance to say “thank you”. My pregnancy was the most challenging experience of my life so far. I wasn’t sure what to expect but I was sure I wanted a doula to support us first timers every step of the way. From our first visit you explained clearly what a doula was and how you would support us with what ever birth plan we were comfortable with. My fear of the unknown faded with every visit or conversation we had and I can honestly say that I don’t think I could’ve remained so calm without your extensive knowledge and support. Even when we eventually had to change hospitals and switch our plan to a Caesarean in the last few weeks you were hugely supportive and calm. You carried this support through to the delivery date and were there for us as soon as Zion was born. Trish really helped to calm my nerves prior to birth and helped to put things in to perspective for me. My husband and I were so happy with all the support Trish gave to us. She is a fountain of knowledge and was always available to discuss any concerns that I had. The beautiful photos we received afterwards - especially the ones of our baby girl meeting her big brothers were an added bonus and are priceless! I’m so grateful to have contacted Trish and was able to have her attend my birth. I cannot imagine birthing another baby without her! If you are after someone who has a reassuring presence, who will support your self confidence and remind you of the real you when you are anxious or doubtful, hire Trish. We made the decision to hire Trish for the birth of our third child towards the end of my pregnancy and it was the best decision we could’ve made. Trish was always there reassuring me when I had doubts or worries and empowered me with so many things I hadn’t known with my previous births. She understood how important it was for me to have a healing birth. 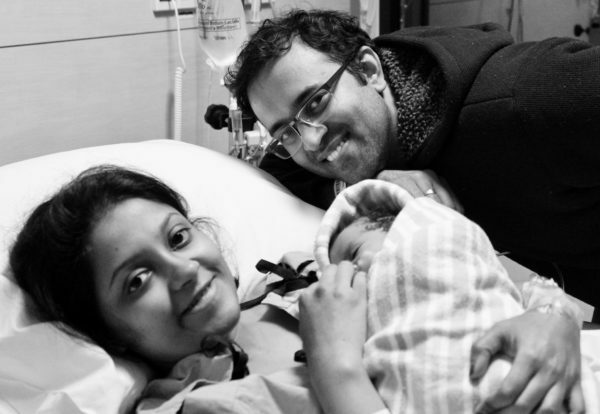 During labour her presence was comforting and Trish reminded me of what my goals and wishes were. 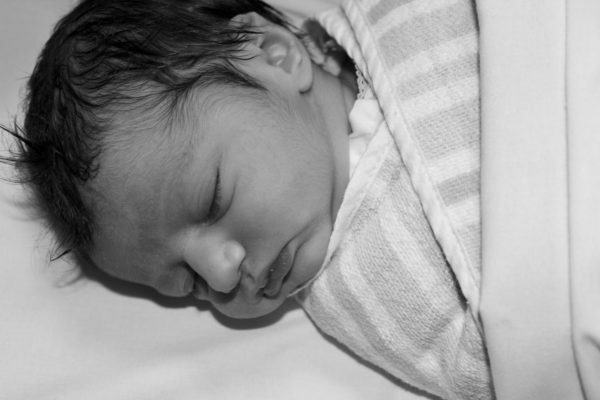 Our baby decided to come into the world within minutes of the nurses as well as my husband walking out of the room, leaving me and Trish alone. Not only did she remain calm and was able to call for the nurses and my husband, but she was also able to capture the most amazing photos for us that we will treasure forever. Following the birth and for the next three days I had multiple nurses asking about who she was and how amazing she’s been. I’m so grateful to have contacted Trish and was able to have her attend my birth. I cannot imagine birthing another baby without her! If you are after someone who has a reassuring presence, who will support your self confidence and remind you of the real you when you are anxious or doubtful, hire Trish. I’ve had two previous c sections so I wanted this VBAC so bad being our last baby. I am so unbelievably happy with my birth experience and how empowering it was thanks to Trisha for helping me achieve such a wonderful birth so thank you again. She is definitely what I needed to support me to get this amazing experience. I am so glad I made the decision to get a doula. The moment I found out I was pregnant I started researching and found Trisha. I rang her and I loved her energy and no question was a dumb one. I needed someone strong to fight for me and straight away I got that vibe. I booked in and prepared for my journey. Trisha is extremely knowledgeable, professional, patient, and kind; and she was a tremendous help to me before, during and after the birth. My husband doesn’t cope with hard situations and my mum panics which stresses me out so she was what I needed. When I was considering hiring a doula, I knew that I wanted someone who would help me to understand what was going on and to feel empowered to make good decisions and most of all fight for me. I’ve had two previous c sections so I wanted this VBAC so bad being our last baby. She provided a lot of useful information (but not so much that we felt overwhelmed) and responded to my questions thoughtfully. She helped me with my birth plan and to feel as prepared as I could for the birth. I prepped all I could and off I went. Throughout the process, rather than telling me what I should do, she explained the pros and cons of various decisions. I started having regular contractions labour around 10p.m. the night before Ivy was born. I messaged Trish who reassured me and encouraged me to get rest if I could and instructed me to call her back when the contractions got faster and/or more intense. Having Trisha involved helped me to feel comfortable labouring at home for as long as I could which was my goal and I achieved that, by 4am it was time to go to the hospital. Trisha helped with the contractions and gave me strength and reassurance while easing the pain. Trish came to the house after Ivy was born for a post-partum appointment. She gave me some amazing photos that I will treasure forever. We talked through some issues I was having and she was a good shoulder to talk to in those hard days. 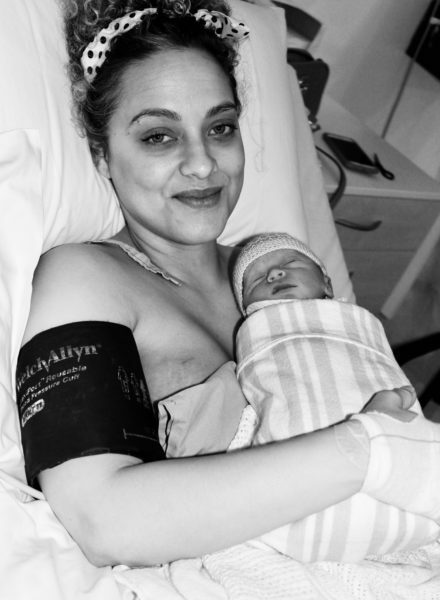 I am so unbelievably happy with my birth experience and how empowering it was thanks to Trisha for helping me achieve such a wonderful birth so thank you again. She is definitely what I needed to support me to get this amazing experience. So proud of myself and my baby. Thanks again Trisha I will definitely be recommending you to other mummies to be.